A short survey of the country for anyone curious about Armenia. Nagorno-Karabakh, officially the Republic of Artsakh, is a small, a de facto independent country located in the heart of the South Caucasus region. An overview of Armenian nature, detailing its most prominent geographical features and the diversities of its flora and wildlife. Join the Phoenix Tour Armenia for the first hand opportunity to experience the traditional Armenian holidays, such as Vardavar, Navasard, Zatik, and many others. The calendar of the popular Armenian festivals and events, held in Armenia and Nagorno-Karabakh. The traditional cuisine from the heart of Armenia and Armenian Diaspora, with photo gallery of the most popular dishes. Visa requirements for Armenia & Nagorno-Karabakh. In Armenia officially all payments have to be made in the country’s national currency, so knowing Armenian money is an indispensable skill if you are planning a visit any time soon. With our comprehensive fleet of cars, minibuses and long distance coaches, Phoenix Tour will have the right vehicle to make your transportation a flawless and pleasurable experience. If you’re going to travel to Armenia anytime soon, there are a few things you need to know. Here are the best Armenia travel tips from our Phoenix Tour experts. 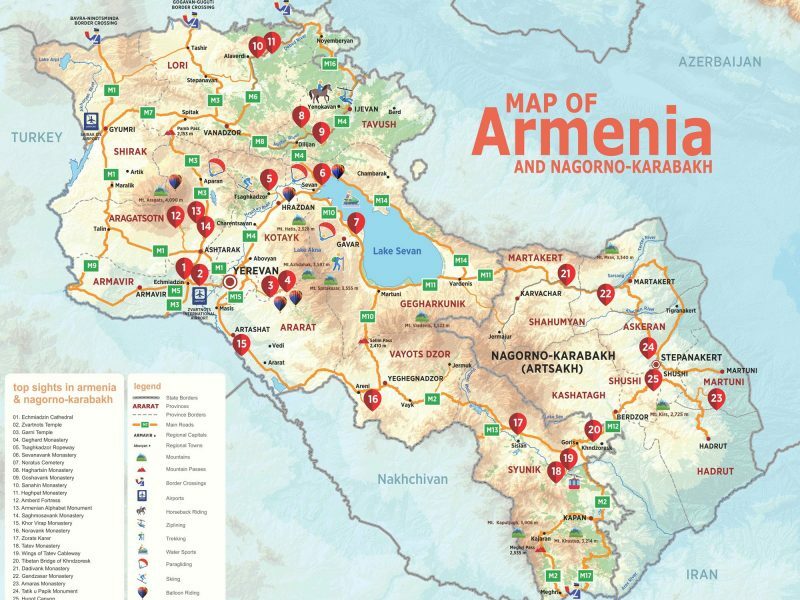 Armenia & Nagorno-Karabakh travel map.